If you’re not on Mitch Landrieu’s team, people say, he’ll fight back by pulling city contracts, removing you from boards and committees, and dressing you down. The mayor says there’s no evidence of such retaliation, and that he’s tangled with entrenched political interests. 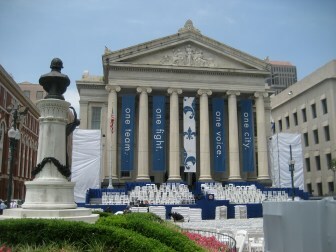 On the day he became mayor nearly four years ago, Mitch Landrieu delivered a stirring inaugural address. He concluded it by repeating a slogan from his campaign. Since then, Landrieu has worked hard to move the city forward. But he has displayed little patience for those who aren’t on the team. While jovial and gregarious in public, he often lacerates and retaliates against those who question that one voice — his. The Lens interviewed more than 30 New Orleans residents who said that the mayor mistreated or punished them after they expressed a contrary view, or that they had firsthand knowledge of the mayor’s heavy-handed behavior. They include current and former elected officials, business people, a wide range of civic activists, attorneys and an opponent in the 2010 mayoral race. Some of them say the mayor withheld funding or cut off city contracts. Others say he forced them from city boards or jobs. Still others say he chastised them with curse words over the phone or accosted them in public. About a dozen of them were willing to speak on the record. Those who would not agree to be identified said they feared retribution by the mayor. “I have more people come up to me and say: How can I help Michael [Bagneris] without Mitch knowing?” said Rob Couhig, a New Orleans attorney who finished fourth in the 2010 mayoral race. A week before Christmas, Bagneris resigned after 20 years as a Civil District Court judge to challenge Landrieu. Political handicappers say the mayor is the clear favorite, with Bagneris presenting the biggest obstacle to his re-election, though no polls have been made public. Bagneris has made Landrieu’s treatment of others an issue leading up to the Feb. 1 primary. Bagneris, however, declined to discuss the issue with The Lens. Complaints against a heavy-handed mayor in New Orleans are not new. As mayor from 1978 to 1986, Dutch Morial earned a reputation — which carries to this day — for haranguing critics and political enemies. “People said he was arrogant and feisty, but he got things done,” said Clancy DuBos, the co-owner of Gambit and its political editor. “Look, you can’t be a wussy and be mayor of a city that many think is ungovernable. As Landrieu pointed out Wednesday in a 40-minute interview with The Lens, he became mayor at a difficult time and has had to make tough decisions. He inherited a city that remained broken by Hurricane Katrina, as his predecessor, Ray Nagin, seemed overwhelmed. It has taken a hard-driving approach to get things done, Landrieu said. “What you see now in the past three and a half years is a huge record of accomplishment,” Landrieu said at his campaign headquarters, sitting on a folding chair, his jacket off. He was mostly calm, snacking on Cheetos, though he bristled several times when presented with accounts of his political retaliation. Cheron Brylski, a longtime public-relations agent supporting the mayor’s re-election campaign, made a similar argument this week. Babs Johnson said she has known the mayor for years, as he served 16 years in the Louisiana House representing an Uptown district, unsuccessfully challenged Nagin in 2006 and then won the mayor’s office in 2010 while he was lieutenant governor. Having served on a citizens’ advisory panel for the New Orleans Recreation Department during the Nagin administration, she said she grew frustrated with the slow pace of change at the new recreation commission under Landrieu. She was especially dismayed with its decision to put a smelly portable toilet next to a children’s swing set at Lyons Playground in the Faubourg Delachaise neighborhood. Fielkow forwarded the email to Landrieu. Johnson said Landrieu wrote her a scathing email in response. The Lens asked to see the message, but she said she couldn’t find it. “After that, I was blackballed,” she said, adding that the mayor bad-mouthed her to mutual friends. Johnson also serves on the board of YAYA, a 25-year-old nonprofit that provides arts education to young people. YAYA also has applied for city funding during the Landrieu administration, to no avail. Landrieu said he does not play a role in the awarding of grants and has taken no action against his one-time ally. “Babs Johnson is not even on my radar screen,” he said. Baty Landis described a similar run-in with Landrieu. After winning the 2010 election, but before taking office, Landrieu asked Landis to serve on a task force charged with recommending a new police chief. “Mitch told me how much he valued my work and my input,” said Landis, a community activist. She was a founder of SilenceIsViolence, a nonprofit group that works to counter the culture of violence in New Orleans. After several meetings, Landis and several other task-force members became uneasy. They couldn’t get minutes from past meetings, a list of applicants or even the questions the applicants were being asked. Landis repeatedly tried to reach Landrieu, but he wouldn’t call back. “What has to happen, as a natural consequence, you have to tell some people no. On March 20, 2010, Landis began posting updates on her group’s website about the task force’s work. On April 2, in her third update, Landis went public with her concerns. The following day, Landis learned from reporters that Landrieu had removed her from the task force. Official word came later in an email from Judy Morse, who co-chaired the mayor-elect’s transition team. Her removal “was a surprise,” Landis recalled. SilenceIsViolence is a well-regarded group. But during Landrieu’s years, the group has failed to win funding from the city, including its NOLA for Life Fund anti-violence program in 2012. Landis is also a consulting director of YAYA. Eleven days after the mayor removed her from the police task force, she received an email from Bethany France, a director of Arts-in-Education at the Department of Culture, Recreation and Tourism, in the lieutenant governor’s office. Because he hadn’t yet been sworn in as mayor, Landrieu was still the lieutenant governor. She blamed a scheduling conflict. After pressure from YAYA’s supporters, the lieutenant governor’s office reversed course 10 days later and offered a last-minute invitation. Landis believes the “scheduling conflict” was a ruse. The mayor said he was unaware that YAYA’s participation at Jazz Fest was in jeopardy that year. According to Landis, “Mitch has told people that he’ll never support programs I’m associated with.” She would not provide their names for fear of reprisals. Another member of the police task force was Danatus King Sr., the president of the New Orleans chapter of the NAACP. He also is running for mayor. King resigned from the task force over concerns similar to Landis’. In 2012, King said, the NAACP was “punished” by not being allowed to participate in New Orleans’ ceremonies marking Martin Luther King Jr. Day. 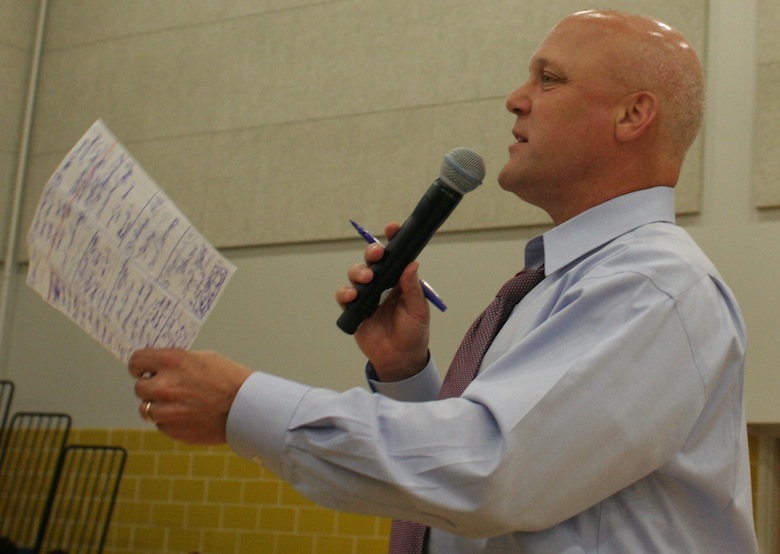 Landrieu said King wanted to be keynote speaker, but the event’s organizers decided against it. In an interview Thursday, event organizer Norwood Thompson Jr. said individual NAACP members participated, including himself. State Rep. Jeff Arnold, D-New Orleans, said he has been targeted by the mayor. In 2013, Arnold opposed Landrieu’s plans in the Legislature to get greater control over the firefighters’ pension fund and to reduce the number of judges in Orleans Parish. Another episode with Arnold shows that the mayor also seeks to remove those who get in his way. He and political allies have called members of the Algiers Development District urging them to replace Arnold as the district’s chairman after he opposed giving control of the Federal City project to a group supported by Landrieu. The development district members spurned the mayor. State Sen. David Heitmeier, D-New Orleans, confirmed that Landrieu asked him to remove Arnold as chairman. “I told him I was supporting Jeff,” Heitmeier said. Arnold is supporting Bagneris for mayor. State Rep. Helena Moreno, D-New Orleans, said she opposed Landrieu’s 2012 plan to designate an area, including the French Quarter, as a special taxing district. State Rep. Walt Leger, D-New Orleans, said he suffered no payback when he supported Stacy Head for an open at-large City Council seat in 2012 over Cynthia Willard-Lewis, the mayor’s pick. Cathy Norman had run the Edward Wisner Donation — commonly known as the Wisner Trust — for nearly 20 years when Landrieu became mayor. Under a century-old deal, the city averaged about $1.5 million per year in income from the leases of Wisner properties. As mayor, Landrieu was one of the trust’s five committee members who decided how to spend the money. Landrieu was not content with the status quo. He wanted more control over the trust as well as access to a greater share of its cash. He called a meeting with Norman in September 2010 to discuss several pending agreements. The gathering included city officials and several others whom Norman didn’t know. Outnumbered nine to one, she felt uncomfortable. Norman asked Landrieu to sign a routine contract hiring outside attorneys, which the committee had approved. He refused, saying there was a conflict of interest with the law firm. Norman noted that the city attorney had waived the conflict. Landrieu repeated that he wouldn’t sign it. Norman told the mayor that she had the authority to sign the contract herself under the trust’s bylaws. After more contentious discussion, Norman said she would prefer to discuss the matter another time when she could bring Wisner’s attorney. For nearly five months, the city did not answer Norman’s emails or phone calls or attend any of the trust’s monthly meetings. Then Landrieu called a special meeting in February 2011 — without Norman — where he demanded that the other trust committee members fire her. They refused. She ended up resigning 18 months later, after Landrieu gained two allies, and a majority, on the committee. Among those interviewed by The Lens, no one seems to have been targeted more than Troy Henry, a businessman who finished a distant second to Landrieu in the 2010 mayoral election. Henry went to Landrieu’s victory party on Election Night to congratulate him. “I thought that’s what you’re supposed to do, like a football game,” said Henry, a first-time candidate. A $54,000, one-year contract with the New Orleans Redevelopment Authority to design its minority participation program. The authority canceled the contract before it was completed and paid Henry Consulting the $16,000 difference. A $67,000, four-month contract with the Regional Transit Authority to design its minority participation program to meet federal transportation laws. The authority did not renew the contract, under which Henry Consulting would have implemented the program. A $12,000 per month contract with the New Orleans Aviation Board to implement the airport’s strategic plan, which Henry Consulting had developed. The board canceled the contract before it was completed, and settled the difference with him. Presented with Henry’s accusations, Landrieu responded, “There’s no evidence, not one scintilla of evidence, that I punish people who are against me,” he said, adding that he plays no role in awarding contracts. His staff produced a 2012 contract between the city and Henry Consulting for diesel fuel, valued at $40,000. Henry said he chose not to renew the contract because the city was taking too long to pay his company. Henry and his business partner, actor Wendell Pierce, believe that Landrieu nixed a development plan in the Lower 9th Ward in 2011 that would have included a grocery store operated by their company, Sterling Farms. The Lower 9th Ward still doesn’t have a grocery store. Landrieu said the project required more public funds from the city than were available. In 2010, Landrieu removed all of the members of the New Orleans Public Belt Railroad board – including Henry — following revelations that the railroad’s general manager had misspent money. Henry had left the board to run for mayor, and the other members reappointed him once the race was over because they said he did his homework and attended meetings. The mayor “blew up” when he got the news of the reappointment, one of the board members told The Lens. Another board member is convinced that the mayor asked the entire board to resign as punishment for reappointing Henry. Neither would be identified because they still have business that could be affected by Landrieu. Several people told The Lens that they had unpleasant chance encounters with Landrieu. One of them was Jane Booth, an attorney who represented residents next to where Tulane University wanted to build a football stadium. Booth and her clients grew worried that Tulane was running roughshod over them. They wanted the city to better defend their interests. Mayor Mitch Landrieu horses around with a kid last summer after he officially opened the renovated John P. Lyons Memorial Center, which had been closed since Hurricane Katrina. Photos like this are common as Landrieu marks signs of progress after the storm. But critics say the mayor has dressed them down if they question his decisions. One evening in 2012, she was sitting with several friends at a Jazz Fest gala when she saw the mayor. Booth, who had known Landrieu for years, greeted him and asked for five minutes of his time to relay the neighbors’ concerns. “He looked at me and said, ‘That’s the last thing on my list of priorities,’” Booth said. She repeated that she just needed five minutes. “This is the last thing on my list of priorities. I don’t think you heard me.” He walked away. She and her friends looked at each other. “We were all shocked and surprised,” Booth said. Landrieu said Wednesday that it was inappropriate for Booth to raise the issue then because he was at a social event with his wife. Immediately after the encounter, Booth said, the city canceled a small contract where she represented the city in zoning issues when the city attorney had a conflict of interest. Booth noted that she has no direct proof that Landrieu yanked the contract. She has decided to support Bagneris for mayor. Don Hubbard recounted an incident that happened just three weeks ago. Hubbard was one of the first African-Americans to work at City Hall, appointed to his job in 1970 by Mayor Moon Landrieu, Mitch’s father. Hubbard has known the mayor for years. They typically hug when they see each other. Shortly before Christmas — right around when Bagneris entered the race — Hubbard was sitting in his office at the Hubbard Mansion, a bed and breakfast on St. Charles Avenue, when the mayor called to ask for his support. Hubbard said he shot back that he could use that word with the best of them. He then told Landrieu, “I hadn’t made up my mind in the mayor’s race, but based on this conversation, I now have.” The call ended moments later. Landrieu declined to discuss his conversation with Hubbard. But no one was required to participate, a spokesman for Landrieu said.